Using multimedia, well-known examples, and interaction with the attendees, Alicia guides writers through the process of creating, discovering, deepening, and revising story. This is a lively and individualized experience, where questions and examples from the attendees are welcomed. Exercises designed to apply the techniques to your own story. Extensive handouts with additional wisdom. Help determining your theme and voice. Start the story at a moment of change. Determine the most satisfying ending. Get readers to sympathize or identify with your characters, even the bad guys. Whenever I’m stuck, I turn to Alicia Rasley’s website. 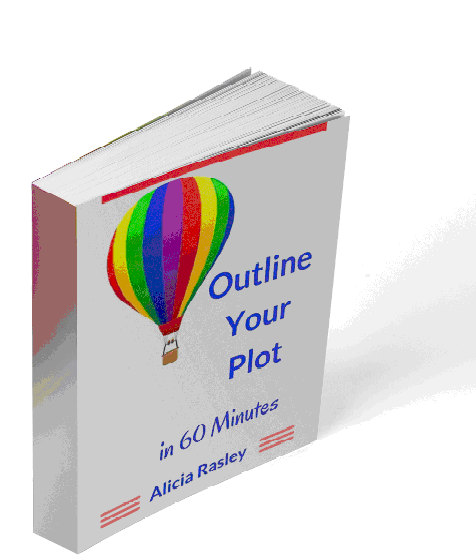 If the plot isn’t going anywhere, if the character isn’t behaving correctly, if I know something’s missing, if I just need a kick to get myself going, Alicia has help on her website. She’s been helping me write and become a better writer for twenty years. I’ve gone to several of her workshops, have many of her pamphlets, have spent hours on the website and MAY not have published without her. I highly recommend her. Jane Myers Perrine, Rita-nominated writer of the Butternut Creek series. I’m reading and highlighting each lesson, and making notes on how I can use what I’m learning to improve my WIP. Just wanted to take a moment to tell you this is a fantastic class, enormously helpful. Gin Mackey.